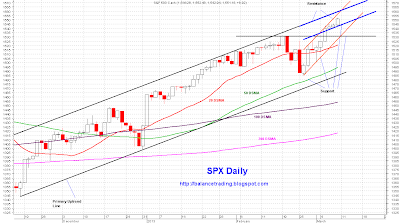 Since the sell off of late February, SPX has rallied in a relatively steep price channel (orange) to a new high. After tagging the upper channel line (upper 1550's or lower 1560's) in the next couple of days, SPX very likely sells off slightly and starts trending higher in a new and shallower price channel (thick blue). 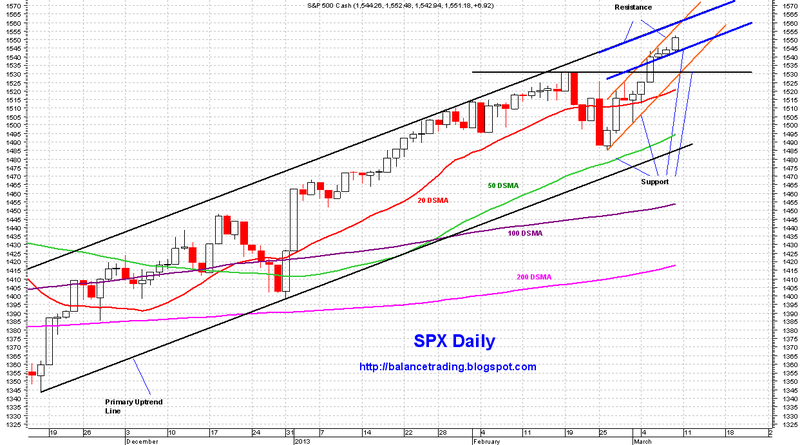 Market is in a good shape and major indices very likely continue pushing higher for another month or so. 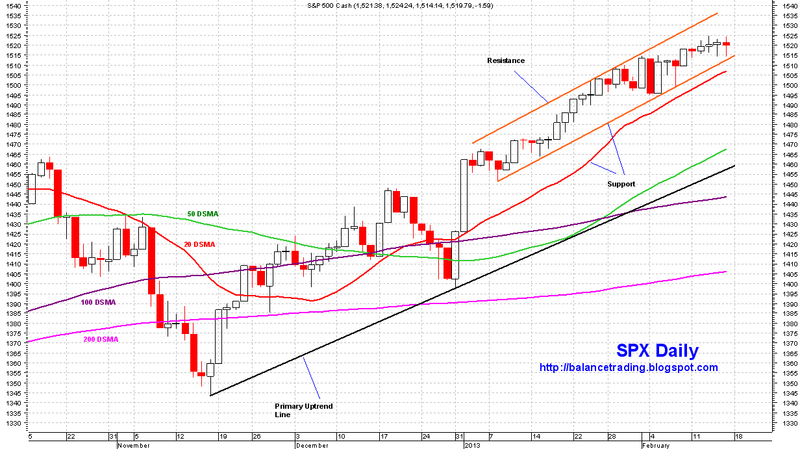 My plan is to do more buys as indices dip.